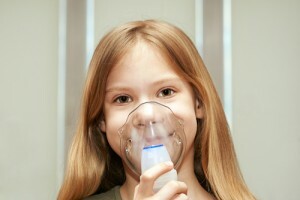 Dry-powder inhalers are an attractive alternative to nebulizers to deliver cystic fibrosis treatment. It is more convenient and time-efficient for patients to inhale dry-powder medication than wet aerosols. Nebulizers need a compressor unit or pressurized air if they are jet-type and electricity if they are unltrasonic, which largely immobilize the patient. What’s more, only approximately 1-32% of the intended dose reaches patients lungs when delivered via nebulizer. Studies have demonstrated that at least 40% of the intended dose from dry-powder inhalers is emitted, and the duration of administration of medication can decrease from at least 20 minutes to less than a minute. Therefore, not only are dry-powder inhalers more efficient, but also they may increase patient comfort, making cystic fibrosis therapy more effective overall. Inspiromatic™ is designed for optimized delivery and enhanced patient compliance monitoring. An internal microcontroller, flow sensor controls, and micro-pump technology dispense drug particles in the correct dose at the right speed to prevent the need for forceful inhalation. Upon inhalation, a green or red light flashes to alert the patient if they properly inhaled, and a beep is sounded once the dose has been delivered. A built-in logger stores patient use data until physicians meet and evaluate the patient’s health.